Meet, Greet and respectively transfer from Airport to a near by hotel for fresh and change & breakfast. 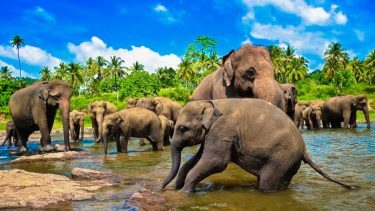 Later transfer to Pinnawala The Pinnawala Elephant Orphanage is one of Sri Lanka’s most popular tourist attractions. The orphanage’s population has now mushroomed to around 65, making it the world’s largest collection of captive elephants. The elephants here range in age from newborns to elderly matriarchs, and include orphaned and abandoned elephants, as well as those injured in the wild. Transfer from Pinnawala to Kandy. 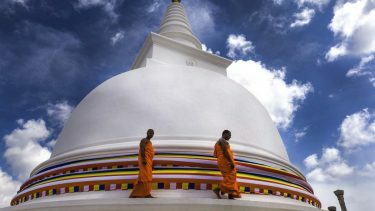 Enjoy a sightseeing tour of Kandy which is a UNESCO world heritage site. The historic city about 480m above sea level surrounded by mountains was known to Sri Lankan as kanda uda rata, which means the hill country. Kandy was home to Sri Lanka’s last independent kingdom, which survived two centuries of colonial incursion before finally falling to the British at the beginning of the nineteenth century. Visit the temple of the tooth, the Peradeniya university campus and catch a panoramic view of the picturesque town from upper lake drive. Early evening, you will visit a Kandyan dance performance and be treated to a spectacular fire walking finale. Kandy is also famous for its shopping, gems and jewellery, handicrafts, batiks, silks and lot more. And you will have the opportunity of browsing to your heart’s content. Overnight stay at Kandy. After breakfast at hotel and transfer from Kandy to tea plantation. One the way visit The Royal Botanical Gardens. Visit A Tea Plantation And A Tea Factory, Where The Best Tea In The World Is Produced. Here You Could Observe All About The Process Of Manufacturing Tea. You Can Also See How Tea Is Graded. Taste A Cup Of Pure Ceylon Tea In The Factory. Transfer from Tea Plantation to Nuwara Eliya. Nuwara Eliya meaning “the city of dawn” is the town at the highest elevation (about 2000m above sea level) in Sri Lanka and its tallest peak, piduruthalagala (2555m) could be seen from here. 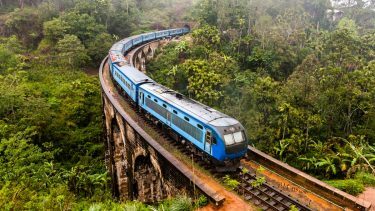 The city, established by the British in the nineteenth century, and known as “Little England” and is a popular holiday resort for Sri Lankans & tourists due to its cool climate and quaint colonial feel with its little bungalows surrounded by hedgerows. Nuwara Eliya is also the heart of the tea country and you can visit a plantation and a factory en route here and witness how the famous “Ceylon Tea” is brewed. Transfer back to Kandy. Overnight stay at Hotel. After breakfast at Hotel, transfer from Kandy to Bentota. Overnight stay at Hotel. After breakfast at hotel, proceed to Madhu Ganga boat ride. Later proceed for day trip to Galle. 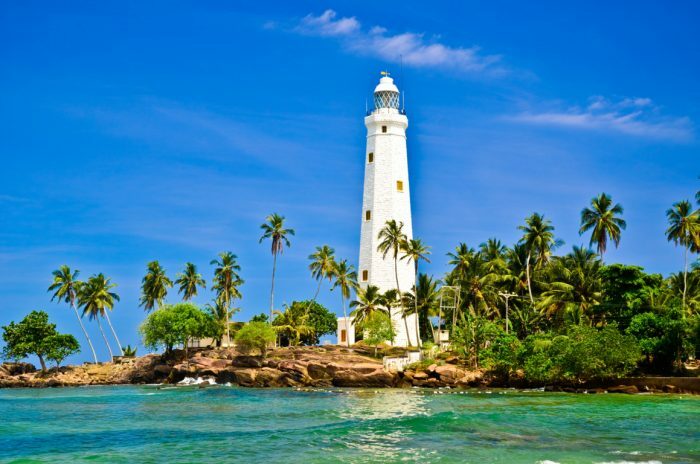 The Port of Galle – Sri Lanka’s 04th biggest town is 115 km south of Colombo and close to Hikkaduwa. Galle is a town rich in history and in fact, was the centre of Dutch rule in the 17th century. 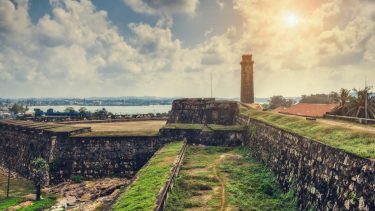 The majestic Galle Fort bears ample testimony to that fact. The City of Galle is one of the best-preserved colonial-era cities in Southeast Asia, and has been declared a World Heritage City. Galle was a major port in Sri Lanka and still handles shipping and cruising yachts. The Dutch Museum, Groote Kerk (Great Church) and the National Maritime Museum are some of the famous tourist attractions in Galle. The city is also famous for its delicate handmade lace and ebony carvings. The Galle International Cricket Stadium has also contributed to enhance the image of the city as a sports destination since of late. Transfer back to Bentota. Overnight stay at Bentota. After breakfast at Hotel transfer from Bentota to Colombo. Day at leisure on your own for shopping. Overnight stay at Hotel. Have breakfast at Hotel and later proceed for a city tour of Colombo. Colombo is the largest city and former administrative capital of Sri Lanka and is a busy and vibrant city with a mixture of modern life and remnants of a bygone colonial era. Due to its large harbor and its strategic position along the East-West sea trade routes, Colombo was known to ancient traders 2,000 years ago. However it was only made the Capital of the island when Sri Lanka was ceded to the British Empire in 1815. The main city is home to a majority of the Sri Lanka’s corporate offices, restaurants and entertainment venues. On this tour you will visit many of the historical, religious and commercial sites of Colombo including the historic and bustling Fort and Pettah, the elite residential Cinnamon Gardens, the Galle face Green, Viharamahadevi Park and much more. Transfer from Colombo to Airport for departure. Overnight stay at Hotel. The tour price printed is dynamic prices & is purely on first come first serve basis. 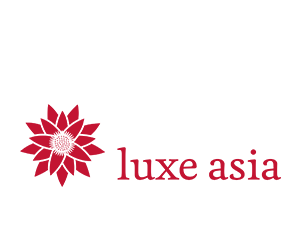 The person booking tour early is likely to get the lowest price as communicated / offered by the Company, subject to availability of seats. The complimentary inclusions are add on delights by Thomas Cook. In case of non utilization/non operation of the same due to any reason/circumstances/weather conditions, the same shall not be refundable. This is an indicative itinerary and subject to change depending upon circumstances. Please consult driver / local representative for next day’s sightseeing schedule / transfers timings. Visa will be granted on arrival. Other terms & conditions would be applicable as mentioned on our ‘Booking Form’.